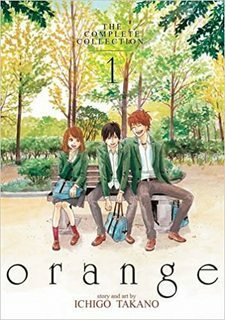 It’s funny this is the post I’m writing when I finally come back to blogging after all that work with the Ultimate Guide for The Anime 2018 Fall Season. The thing is, my idea is to start pushing my blog to be 100% Anime related. However, after watching Fantastic Beasts: The Crimes of Grindelwald, I just have some things to take out of my chest. I’m a huge Harry Potter fan… Not one that knows every entry of Pottermore, but one who actually knows the books from beginning to an end. I’m not even kidding! My boyfriend is reading the full series right now and every time he is commenting something I know what every character said in that event! I used to love J. K. Rowling once, you know! I mean, her story is inspiring… So many years she had to fight to get her first book to be published. This, while at the same time-fighting depression… It just makes me continue to push forward and continue to fight for my dreams. However, at this point, for me, J. K. Rowling is just someone who wrote an amazing series and wants to continue to be relevant, so she just tweets stuff and continues to push her masterpiece the most she can because… Well, she just can’t pull off something like that again. Let’s start with an easy and not as heavy one. I know, there have been some problems with Jonhy Depp recently. Many people are mad with Rowling because of letting him be in the films after his ex-wife coming out saying she was abused by him. Now, I wasn’t there, so I don’t know if this is true or not. This way, until everything is settled up, I don’t believe he deserves to be just out of a job. Remember, although we see these people all the time on the big screen and interviews we do not know them! We don’t know how things are backstage and, therefore, many things that come out can be or not true. My problem is, in fact, Jonhy Depp, period. He is an excellent actor and I love some of his most known characters. 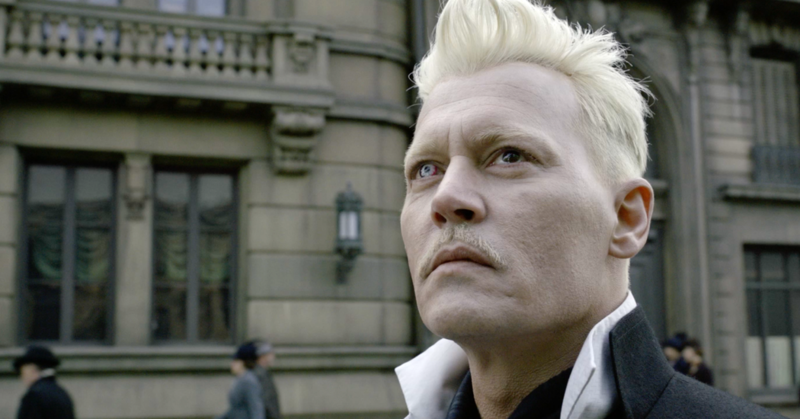 However, I just don’t feel that his way of acting is the best one to represent a char as Grindelwald. Moreover, he just didn’t blend into the character that well. Most of the times I was seeing Jonhy Depp on the movie, not the character itself. Something that it’s not that good and damaged a little bit of my immersion. There are, of course, some small things that made me a little upset but are not major flaws… It’s more about not having attention. As usual, everyone can do spells without pronouncing them! I mean, it’s nothing new, in the last movies of the series, we already had that. Moreover, the wands are more like pistols at this point than actual wands. But, something that someone as Rowling should not make mistakes is when a character, in fact, uses a spell, it does what it’s supposed to. There are two scenes where the spell did not work as it should (at least that I was able to catch). First is when Newt uses Accio on the Niffler and then proceeds to make him levitate to his bag… Now, the spell Newt used was Wingardium Leviosa, not Accio. Then, we have another scene where Leta Lestrange uses Accio and instead of the object just going to her hands just stops halfway… I mean, Leta does not seem to be a bad wizard, so why did her spell did not work 100%. It just doesn’t make sense. So, yeah, these are small details, but important ones to take into account while creating a World like Harry Potter. 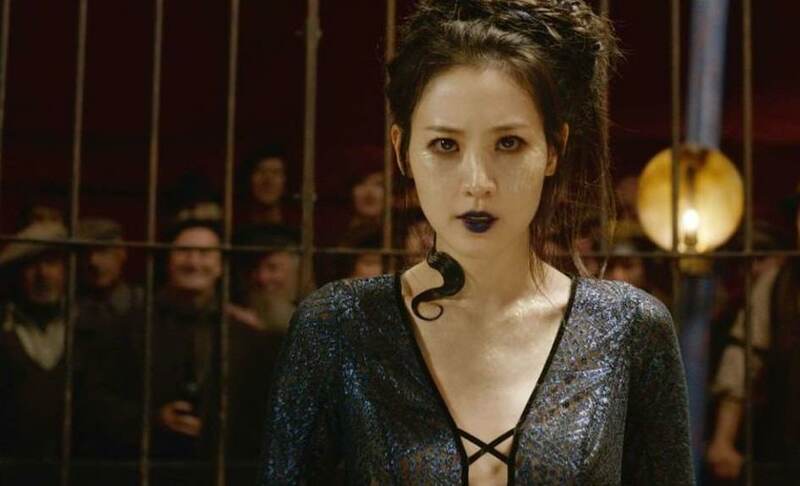 To be honest, the idea behind Nagini is not bad and it gives a lot to the character. I don’t really mind her being Korean. Everyone is saying that is bad on J. K. Rowling side since she will later become a slaver for a white guy and blah blah… Well, in my honest opinion, Nagini is the only character who Voldemort sees as a friend. This, to the point of making her a Horcrux. My problem with it is that you can clearly see this was thought after the Harry Potter series. As you know, Dumbledore looked hard to find information about the Horcruxes… Do you really think he would never make the logic what Nagini truly was? Yes, it’s a cool idea, but I just don’t like when creators come and just add things in a prequel that will make me question the original stories. Until now, J. K. Rowling always made us believe that Dumbledore didn’t go against Grindelwald right away because of the love he had for him as also being afraid of facing the truth of who, in fact, killed his little sister Ariana. 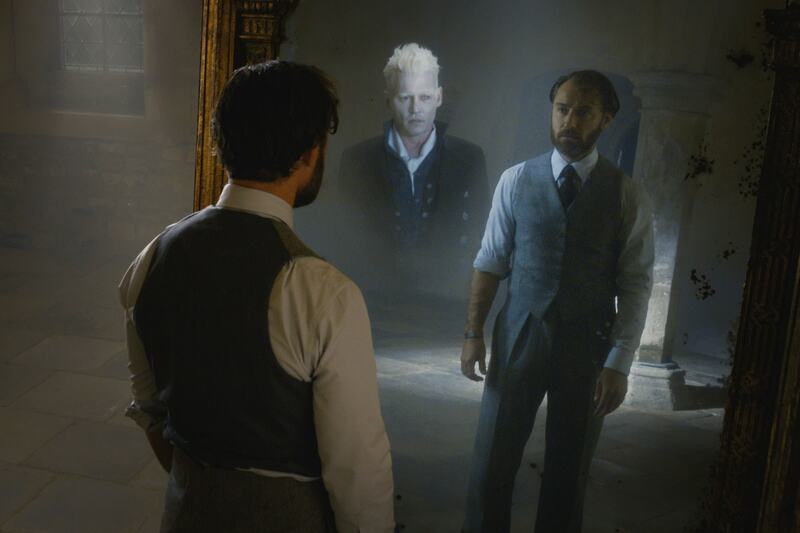 However, now, in the Fantastic Beasts, it seems that Dumbledore and Grindelwald did a blood pact promising to each other to never attack each other. There are two problems with this. First, it destroys the complexity of Dumbledore’s character. Basically, he just didn’t go against Grindelwald because he just couldn’t, easy as that… Not because he was facing a huge internal struggle. Second, Ariana dies because Grindelwald was fighting Dumbledore’s brother. Dumbledore stepped in and tried to stop them, by dueling against the two of them. This way, if there was a blood pact, to begin with, Dumbledore would never be able to attack Grindelwald… So… I’m just plain confused right now. Never, in all Harry Potter series, was ever even hinted that Dumbledore had a third brother. Well, it seems he has! 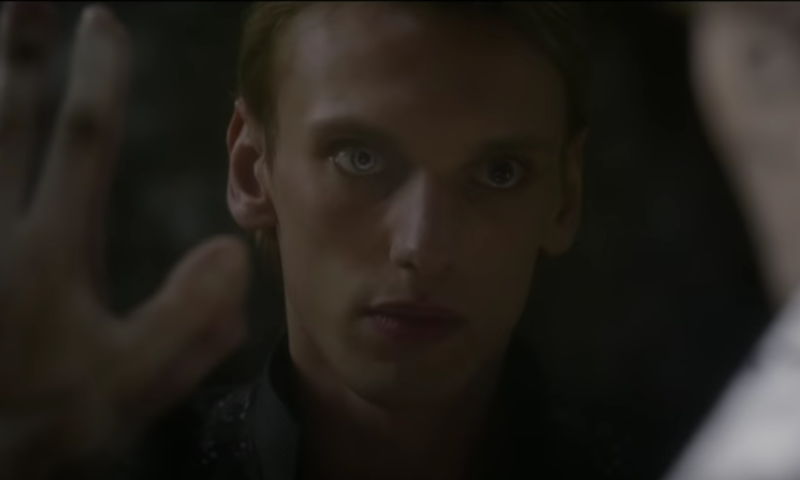 In the last part of Fantastic Beasts, Grindelwald says to Credence that he is in fact, Aurelius Dumbledore, Albus little brother. Now… Unless he is just plain lying, this just doesn’t make any kind of sense! Well, that’s the things that upset me the most! I just can’t understand why J. K. Rowling is open to push her masterpiece so further that will destroy the image everyone had from the original series… I mean, really! It’s not only the Fantastic Beasts movies… Yesterday I was shopping and noticed that the Harry Potter books with, yet again, a new cover. Really, how much are you willing to exploit your fandom money? 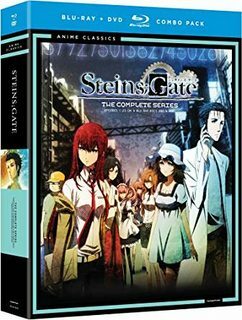 Also, how many different covers do you really need for a series? It just does not make sense to me! What about you? Have you watched the Fantastic Beast movies? What do you think of them? Did you like them, or do you think J. K. Rowling should just give the Harry Potter series a rest? I’m not planning on seeing this. The first one was a weak mess in my opinion. 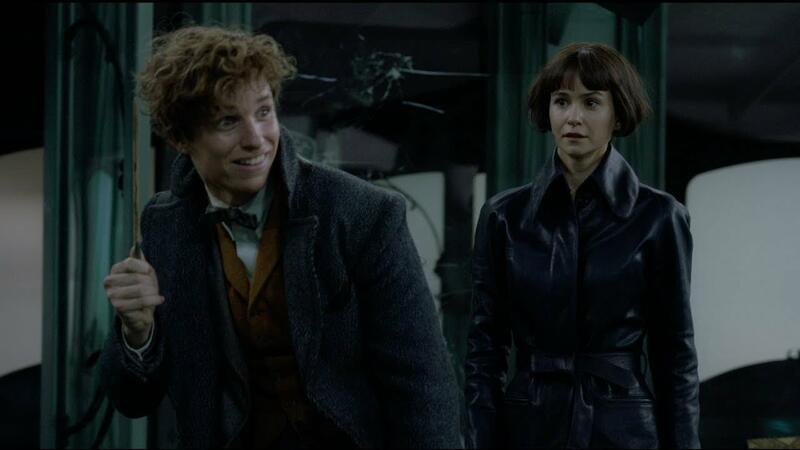 I honestly wish they’d just left the “fantastic beasts and where to find them” book as it was…just a book. The only thing I liked about that movie were the creatures… not the entire made up plot around it. Same goes for this sequel…why? If you ask me it’s all about earning more money. 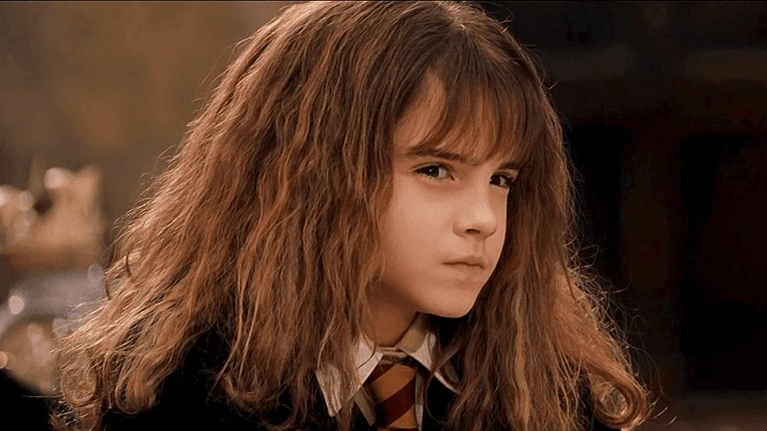 Go ahead, J.K. Rowling…but highly upsetting there were a lot of mistakes with this film. Love Harry Potter still. One of my favourite book franchise. It is about time for my yearly read through of Harry Potter. Honestly my biggest complaint is that after the book is done she keeps trying to change things. It is published. Done. Leave it alone lol. I’m debating if I want to throw in my own two cents over this movie. I’m still trying to wrap my head around wtf happens in this stinking movie and your post actually brings up more glaring plot points I need to think over. Great post, for the record, but gah, my head. Nagini may be about to compete with Hermione as my favorite Rowling character. She has such a tragic story! Still, the funky eyeball on Depp? David Bowie did it far better. 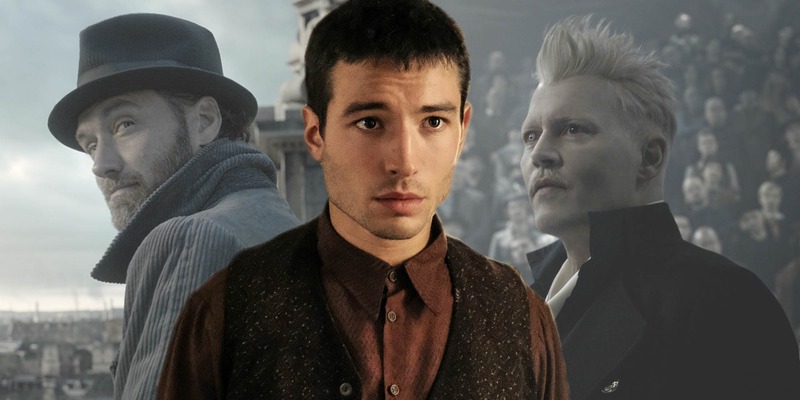 I am depressed that Colin Farrel (who Johhny Depp disguised as in the first movie) WASN’T the actual actor for Grindelwald. He lookedstrong, handsome and sharp of mind, all qualities that made me believe in why Dumbledore admired him so much. At the same time, he was also quick to go from charismatic no-nonsense Auror to shady and unhinged dark wizard. Plus, Colin Farrel just looked dapper as hell in the first movie. Pingback: Real Neat Blog Award – Look Mom, We’re Neat-O! – Welcome to Hell Zone!